First, we’ve observed a price jump of more than double, just within the second-half of March. A jump that is typical around this time of the year. 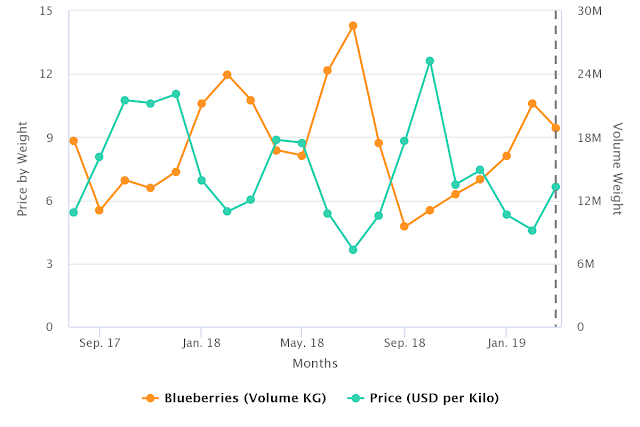 The price spike is attributed to sudden drops in shipments during the past 10 weeks as the Chilean and Peruvian shipments are on the tailend of their exports season, as was described in detail by a recent Fresh Fruit article: Chilean blueberries fetched lower prices in 2018-19 amid increasing market overlap. 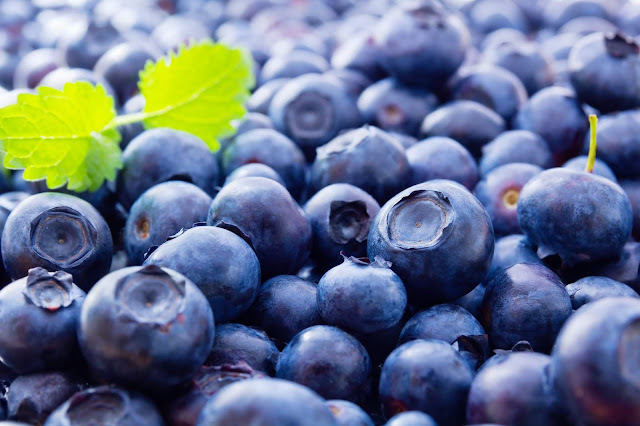 Thus, it is left up to Mexico’s more-or-less steady, but limited supply (AVG monthly mexican shipments for previous 18 months constitute 14% of market share) and Florida to keep Blueberries in stock, before the other 8 US States and Canada’s shipments enter the market. Vaccinium, sect. Cyanococcus -for those among us who are fans of Carl Linnaeus- is the Taxonomic name for Blueberries. These fruits, once native to North America are now also harvested in Australia, New Zealand, South Africa, and the Southern Cone of the Americas; where they are shipped to markets around the world. 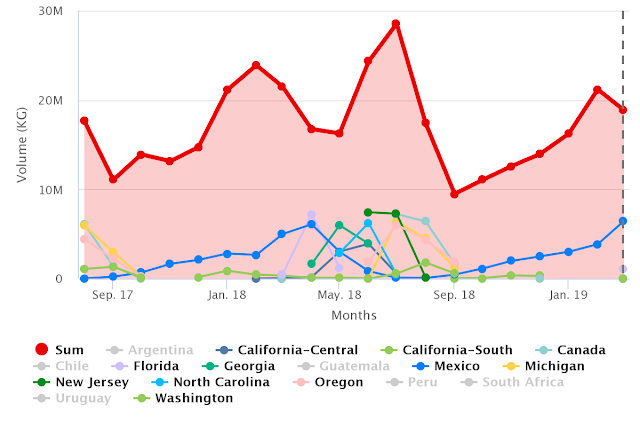 In addition, their North America harvesting season (excluding Mexico and its quasi year-round season) typically starts around weeks 10-12 (in Florida) and ends around late September (with California-South). Once we appreciate how the range of geographical sources, each one with very different macroeconomic realities and logistical constraints, are at play; it is no wonder why we find such fluctuations surrounding this berry. This trend can be very clearly observed historically when looking at prices and volumes simultaneously. 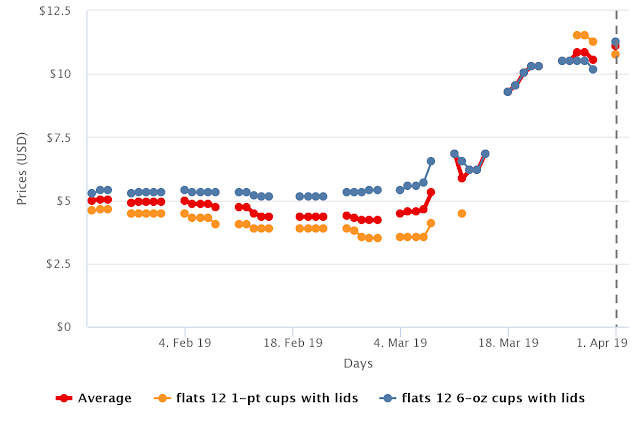 Given all these particularities surrounding Blueberries, we would venture to anticipate that prices will follow similar trends to last year. 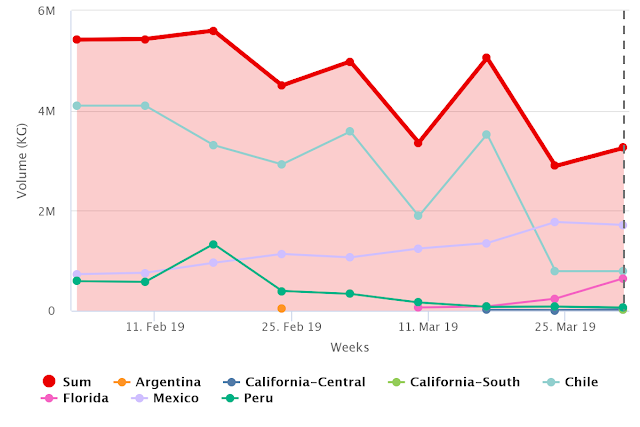 That is to say, the current price rise is likely to continue for another week or so, after which it would be dropping back below the $10 USD/KG mark by weeks 17-18, as more US States production comes online. 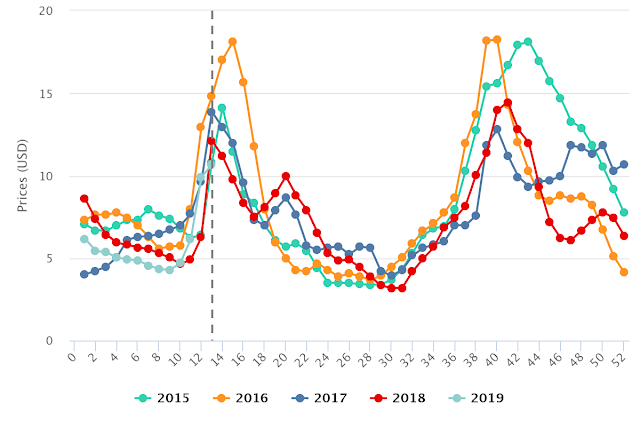 Last chart gives us a glance of historical spot prices for the past 4 years.